Can you imagine seeing a Van Gogh painting sitting right off the freeway on your morning commute or aerial ride? 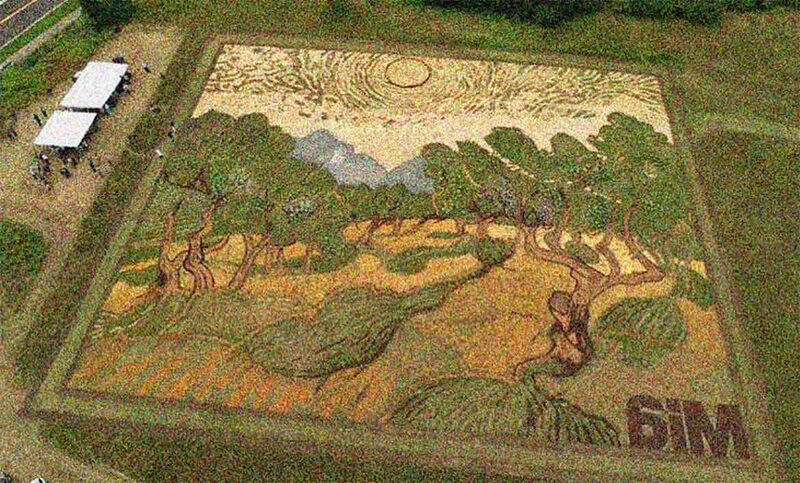 One field in Egan, Minnesota got exactly this when 64-year-old artist Stan Herd transformed it into Van Gogh’s 1889 “Olive Trees.” Herd has been doing these types of artworks or ‘earthworks’ since 1981. This is a wonderful example of one persons expression of art. I hope it’ll be open to the public one day.